Lauretta is a newcomer to this field, who has spent years in her personal life searching for answers to the big questions that have yet to be found in their entirety… the biggest question being: What is the Meaning of Life? This has opened up a Pandora’s Box of more questions every step of the way, and continues to do so. This is something, that from a very early age, has been a constant area of questioning, leading her to a deeper curiosity, propelling her to a constant striving to further this ambition and quest for knowledge through experience. Her interests include metaphysics, delving deeper into consciousness and the mind/body/spirit connection, and energy and its relationship to consciousness, with psionics being a particular point of interest and how these two subjects intersect… Which has led to ever more questions, in particular: What does it mean to be human? 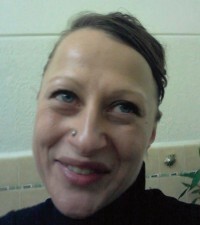 Lauretta is married and has three young children. Lauretta has recently expanded her scope of interests, by recently being appointed as the new Editor for Mindscape Magazine, a role which will no doubt help her branch out into deeper levels of enquiry on her quest to possibly answering some of the BIG questions in life! Dale is a renaissance man with a diversified yet general background in chemistry, physics, mechanical engineering, machinist, metal working and tool making, computers, mathematics, acoustics, hydro-dynamics, geometry, music and common law. Dale is a maker of Musical Dynaspheres. Atlin, Symael, Altea, Alcea and Alya. His experience includes technical writing, farming, lecturing, corporate training, business, metal and wood working, manufacturing publishing and authoring scientific and philosophical journals and books. At the leading edge of new paradigm thinking, he has been able to show that vibration/oscillation is the principle underlying all things. Vibration/oscillation is the link between spirit (activated Mind) and matter – the magic key for creating new experiences, worlds and universes. Gary has been an independent researcher of Southwestern archaeological ruins and rock art for nearly 25 years. His books about the ancestral Pueblo cultures of Arizona and New Mexico include: The Orion Zone – Ancient Star Cities of the American Southwest, Eye of the Phoenix – Mysterious Visions and Secrets of the American Southwest, The Kivas of Heaven – Ancient Hopi Starlore, Star Shrines and Earthworks of the Desert Southwest, and Mirrors of Orion – Star Knowledge of the Ancient World. These are available from Adventures Unlimited Press, CreateSpace, and Amazon.com. Mr David earned a master’s degree from the University of Colorado and is a former college professor. He is also a poet, with numerous volumes published, and a professional lead guitarist/vocalist. Ralph has worked as a software engineer for many years, and has put that analytical training to good use in the analysis of historical and biblical texts. For more than 30 years Ralph has toured the Mediterranean, researching Egyptian and biblical history and looking for similarities and parallels between these two disciplines from the secular viewpoint. The outcome of this tireless research is ten books that connect biblical history directly with Egyptian history in a fashion that has never been explored previously. And so biblical history does dovetail very precisely with the historical record, if one takes the minor liberty of changing one date and one location. However, this gradual exploration of the revised Egyptian history of the Torah, over many years, has finally delivered an extraordinary theological discovery – the true identity of Jesus in the historical record. Like all of the famous characters of the Torah, Jesus initially appears to be missing from the historical record; but it would now appear that he was a little known monarch of Edessa, in northern Syria. Deborah was born in Manchester in the 1960’s – My first school was a multiculture – I learned how we are all a minority and continue to delight in that cultural-diversity which most truly reflects the wealth and gift of humanity. Willem is a retired ship’s Pilot in the Port of Rotterdam. He lives in the Netherlands with his family. He studied navigational sciences at the Nautical College of Amsterdam and is qualified to act as a Master on all ships worldwide. Because of his profession he visited many countries and had the opportunity to visit several ancient sites all over the world. Being very interested in Ancient Egypt long since, he felt very mistrustful about the stories told by the local guides and Egyptologists. They made no sense to him. He was convinced that there was a connection between the Earth and the nearby Solar System through the Great Pyramid of Giza, encoded through the four elements: Earth, Water, Air and Fire. He spent the last fifteen years doing research into the true function of the Great Pyramid of Giza and this resulted in a book about this subject, so far only available in Dutch. The author visited Egypt (and Giza in particular) several times to see if there could be another truth other than the formed dogmas of certain scientists. He found a lot of similarities with the art of navigation and this helped him to form his own conclusions. Since the publication of the book in October 2012, he has continued searching for more evidence to construct theories and useful connections with other civilisations. So far, his theories have only been confirmed. He also publishes articles about Ancient Egyptian connections in Frontier Magazine (frontierworld.nl) as a supplement to his theories as described in the book. Hopefully the book will be translated in English to reach more people interested in this subject. Looking for a translator and a way to publish in English will be his next task. It is time to change history. Steven is an author, independent researcher, lecturer, and frequent guest on radio talk shows discussing his research concerning the Great Pyramid. He is also founder of the nonprofit organisation called the Pharaoh’s Pump Foundation (www.thepump.org) dedicated to understanding how and why the Great Pyramid was built. He is the author of two books, Lost Technologies of the Great Pyramid and The Great Pyramid Prosperity Machine. Both books are available in paper back or Kindle eBook format on Amazon. For more information on services or to make a booking, please also visit the above website. Khemit School of Ancient Mysticism Co-Director, Explorer, Researcher, Speaker, and Artist from a very young age, Patricia knew that she would one day be “going home” to Egypt. Having been born with a “need to know”, she has spent much of her life on a personal quest for knowledge, wisdom and spiritual fulfillment. Patricia’s strong and vital connection to nature and interest in the mystical and physical sciences propelled her into a lifelong study of the ancient mysteries. As a long time student in metaphysical, spiritual and esoteric subjects and traditions, Patricia’s eclectic spiritual background serves as a strong foundation to support her work. She became a student of Khemitology after meeting world renowned, indigenous Wisdom Keeper, Abd’el Hakim Awyan (1926-2008), on her first trip to Egypt in 2005. It was during her third journey to Egypt that she would meet, and fall in love with her husband, Yousef Awyan. Together, she and Yousef created The Khemit School of Ancient Mysticism as an open forum to share the teachings of his father, Hakim, and to continue on with the exploration and research of the ancient mysteries, both on and off the sites. They guide independent explorers that come to their doorstep from all over the world, and host their own tours several times each year. News of their activities can be found at: www.khemitology.com and on their very active Facebook group page. Dr Janni Lloyd’s interest in health formally began in 1973 when she commenced her medical degree at the University of Western Australia. She spent many years in general Practice with a special interest in the psychological and emotional aspects of health maintenance and disease creation. In 1994, Janni moved into Alternative / Complimentary medicine via Aura Soma Colour therapy. In 1992, she began living and exploring Healthy Life Extension and the philosophy of Physical Immortality from many different perspectives – spirituality/theology, alternative medicine, psychology, medical science and quantum physics. John is an Acoustic’s Engineer with a fascination for sound that goes all the way back to early Childhood. He studied pure electronics at Northumbria University following which he founded a Sound Engineering Company that eventually developed into a full Acoustics Consultancy Business. Immersed in the world of Acoustics, he had often pondered the nature of sound and he instinctively knew that the standard model was incomplete. In 1996 and 1997 he conducted a series of seminal acoustics experiments in Egypt’s Great Pyramid, which he published in his book Egyptian Sonics. The work led him to conclude that making sound visible – the emergent Science of Cymatics – was a powerful new investigative tool for science. Inspired by the Egyptian experiments, he created a new scientific instrument, the Cymascope. It is now possible to image any sound with a high degree of reproducibility and with Quasi-3D capability. Adam is a Computer Software Engineer and an amateur electrician and artist. As a freelancer for the majority of the beginning of his career, he set up a small telecommunications network in 2007 in London Docklands. Adam worked for software companies in and around London before going to work at the British Forces Broadcasting Service under the guise of the Service Sound and Vision Corporation, contracted for the Ministry of Defence for a year. Throughout his life, Adam has been pursuing the subjects of philosophy, music, art and science as an amateur electrical engineer. He has fashioned several unusual devices which seem to show a new kind of electricity. His works vary from treatises on moral and scientific dogma, through to theoretical and practical solutions for technologies for a new future. Authoring ‘Technology For A New Future’ in mid December 2012, Adam has released many new facts of information about electricity in atoms and magnets, and is currently writing his new book Codex Machina set for release some time in 2014. Adam believes that if a person can stand still long enough, in the case of an obsessive person, reinspecting things sufficiently enough to alter the perception so significantly that it hardly becomes recognisable as first seen. The work that is being performed by the author is unusual in its accomplishment but holistic and general to its fullest, and so, attempting the biggest general theories of the universe by combining things such as personality and electrical character, a new philosophical world could be found. Marie D. Jones and Larry Flaxman are the authors of several best selling books including “The Resonance Key: Exploring the Links Between Vibration, Consciousness and the Zero Point Grid,”, “11:11 – The Time Prompt Phenomenon: The Meaning Behind Mysterious Signs, Sequences and Synchronicities” and their current book, “This Book Is From the Future: A Journey Through Portals, Relativity, Wormholes and Other Adventures in Time Travel”. Their website is www.paraexplorers.com. They co-host a radio show called ParaFringe Radio and are also screenwriters and popular public speakers.